Raw Milk, Grass-Fed Beef, Pastured Pork, Idaho Pastured Lamb, Poultry, Rabbit, Butter & Cream, Yogurt & Cheese, Honey, Eggs, Ghee, Soap, Lotion, REAL Raw meat for the Pets. Browse through our ever growing selection of all-natural family-raised products. Add the products you like to your order. We are a Raw Milk Dairy located in the rugged desert of Southern Idaho, a local family operation that specializes in providing all-natural non-GMO products from our family to yours! We strive to produce for our customers what we ourselves enjoy on a daily basis...Raw Cow and Goat Milk and more! Get our freshest and most delicious products for a fair price. "Provider Farms have been so great to us! You ask and they have it all, and everything is of high quality. They put their hearts in all they do. We have been their customer for almost 5 years now and I am so happy to see them grow and expand." ~Irina G.
"We bought a whole pig from Provider Farms. It was the best pork we have ever tasted. They choose a non-GMO, msg free seasoning for the sausage and it was amazing. Provider Farms saved all the bones and lard for us. We couldn't be happier with the pig we received. We even shared a ham with with a great friend and she said it was the best ham she has ever had and will be buying a pig from Provider Farms this year as well. We love their delicious pork and will not be buying from anyone else." 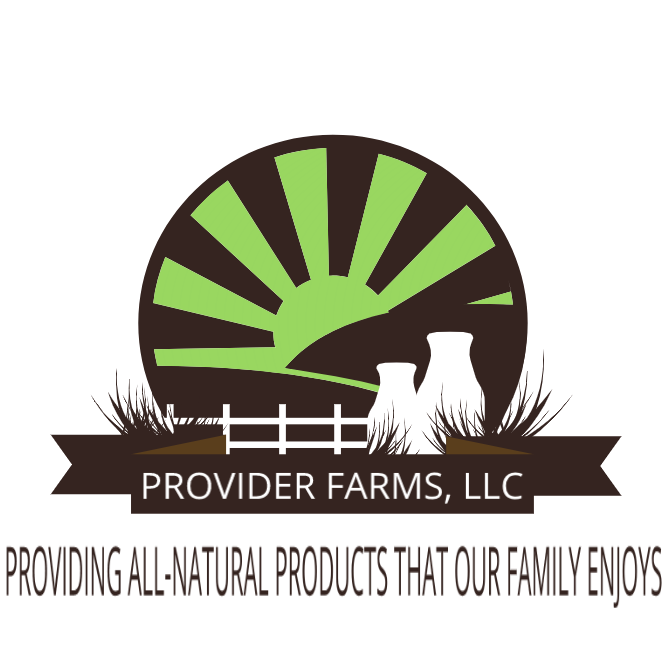 ~Jennifer M.
"We love Provider Farms and their raw milk is my hubby's favorite. I like their goat cheeses and plan on buying chickens in the future. Have turned my neighbors onto them as well." ~Candy and Mike F.
We are passionate about what we do and the lifestyle we live. We care deeply about our customers and the products we provide for you. We are always striving to produce quality products at a price that everyone can afford. Everyone should have access to better, healthier food and we want to make that happen for you! We are indebted to our customers for their support, insight and friendship. Here, at Provider Farms, we strive for better land management, natural practices and healthier food so we can in turn-provide for you.